The Nimitz-class aircraft carrier USS Harry S. Truman (CVN 75) transits the Atlantic Ocean on Dec. 12, 2018. US Navy photo. CAPITOL HILL – Lawmakers told industry representatives today that, if it wasn’t already clear from their hearings with Pentagon and Navy leadership this week, they had no intention of letting the Defense Department shed an aircraft carrier instead of refuel it. “I think that’s’ a ridiculous idea,” Rep. Elaine Luria (D-Va.), a retired Navy commander and current representative of the district that includes Naval Station Norfolk, said at the Aircraft Carrier Industrial Base Coalition’s annual Capitol Hill breakfast and lobbying day. “That math doesn’t work,” said Rep. Rob Wittman (R-Va.), the ranking member of the House Armed Services seapower and projection forces subcommittee whose district stretches into the Hampton Roads region. “The idea of squandering an asset and not refueling when it has another 30 years of existing life seems like a big waste of money,” Sen. Tim Kaine (D-Va.) said at the event. The lawmakers’ comments come as no surprise, after three hearings in two days when lawmakers grilled Pentagon and Navy witnesses about the decision to not refuel carrier USS Harry S. Truman (CVN-75) and instead spend that money developing future weapon systems that will help the joint force win in a contested environment. “An important assumption is that the money that was saved by not refueling the Truman would be used to develop new ways of conducting maritime strike. So when we look at the carrier, we’re looking at it from a maritime strike capability. And a more diverse way of providing maritime strike is among the initiatives inside the department,” Chairman of the Joint Chiefs of Staff Marine Corps Gen. Joseph Dunford told the House Armed Services Committee on Tuesday. 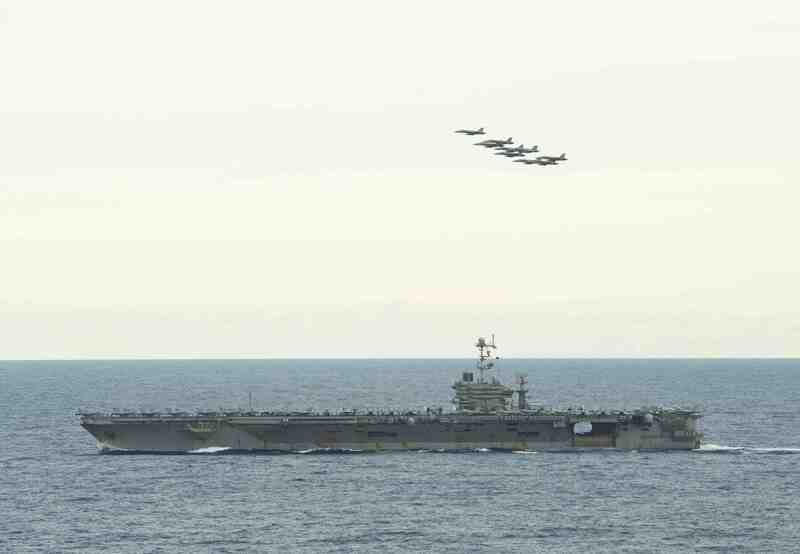 The Pentagon estimates it would save $3.4 billion from not refueling the carrier, as well as about a billion dollars a year by not operating the carrier and its air wing. But lawmakers don’t agree with those calculations. “We built a carrier that was meant to last 50 years, and I think it’s a joke to say it’s a cost-saving measure to retire it at 25 years. If you amortize the cost we put into it over 25 years instead of 50, we’re not saving the taxpayer any money,” said Luria, a retired “nuke SWO” who deployed on Truman and oversaw carrier maintenance in a tour at Naval Air Force Atlantic. “It doesn’t make sense to take a carrier that has 25 years of life left in it and tie it up at a dock and say somehow we’re going to retire it and that helps us save money. That’s $3.4 billion of potential savings, as they point to, that now takes away 25 years of capability. To me, that math doesn’t work. So we want to make sure that we are doing the refueling on Truman, we’ve had some good discussions here in the recent posture hearings over the past couple of days,” Wittman said at the event. Kaine recalled that the Navy and Pentagon suggested this in the past – stating when sequestration first kicked in that they wouldn’t pay to refuel USS George Washington (CVN-73) as a way to consolidate all the service’s required spending cuts into a single program rather than harm all their spending lines. Congress rejected that idea and, after a delay to the planning and start of the refueling and complex overhaul, George Washington is about halfway done with its RCOH at Newport News Shipbuilding in Virginia. “I would say the opening reaction of my [Senate Armed Services Committee] members in this first public meeting that we had around not refueling the Harry S. Truman was highly, highly skeptical. And that was on both sides of the aisle,” Kaine said at the breakfast. Aircraft assigned to the “Sunliners” of Strike Fighter Squadron (VFA) 81 fly over the Nimitz-class aircraft carrier USS Harry S. Truman (CVN 75) as the ship transits the Atlantic Ocean on Dec. 14, 2018. US Navy photo. Luria noted in her remarks that, in addition to disagreeing with the idea to not refuel Truman in principal, the talk of not conducting the RCOH creates uncertainty for workers at Newport News Shipbuilding and in the supply base. Navy acquisition chief James Geurts acknowledged at the Wednesday SASC hearing that canceling the Truman RCOH and having a large gap between the USS John C. Stennis (CVN-74) and USS Ronald Reagan (CVN-76) RCOHs could force Newport News Shipbuilding to shed employees and potentially lose critical skillsets related to conducting RCOHs. 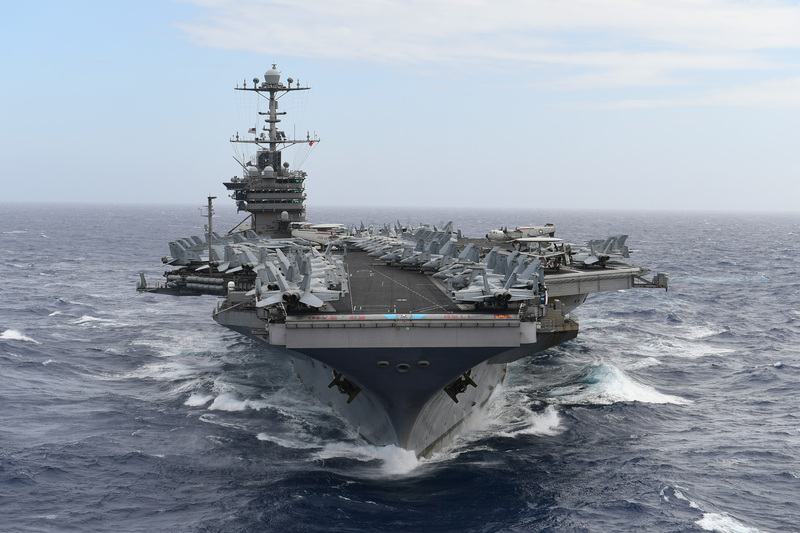 He told USNI News afterwards that a carrier inactivation involves similar skillsets but only requires a third of the man hours compared to an RCOH, so he said that was a consideration the Navy and shipyard would work closely to address if the Truman refueling is indeed canceled. Of course, if lawmakers – and the Navy – get their way, that won’t be an issue. “If we were to give you more money, you’d keep the Truman in place, wouldn’t you? Would that be your druthers?” Sen. Mazie Hirono (D-Hawaii) said during the SASC hearing Wednesday. “Our druthers would be to not surrender a carrier that has 50-percent of its life remaining, but we would like to not do that at the expense of moving out on these other technologies that every assessment has told us” the Navy will need in the future, Vice Adm. Bill Merz, deputy chief of naval operations for warfare systems (OPNAV N9) responded, after having said the RCOH money would be rerouted to fund the development of unmanned systems, energy weapons and other future technology.